Ladies, it's time to talk about that time of the month. That time of the month can be a real pain in the you know what and can have a devastating effect on your self-esteem, diet, and body! We all have activities during that time that makes us feel better. Some like to exercise and be active and others (like me!) like to relax with my favorite comfort foods and some like to do both because in the end it's all about what matters to YOU! 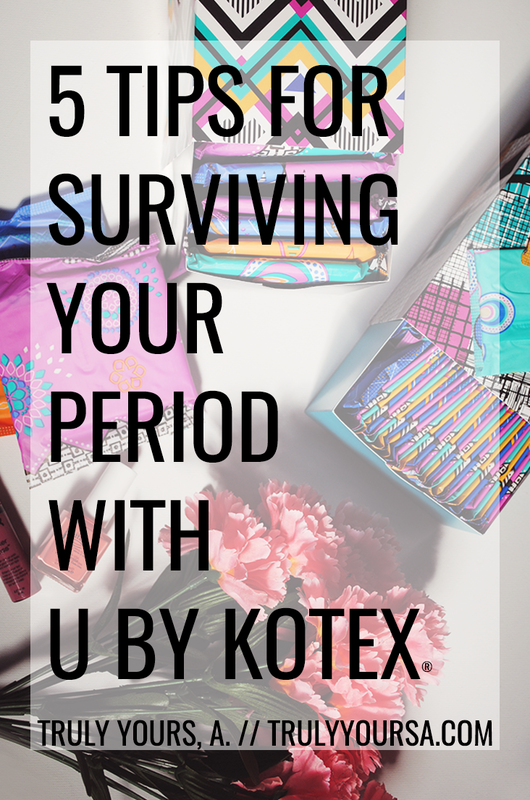 Today, I'm sharing some of my favorite tips for getting through the even the toughest periods. 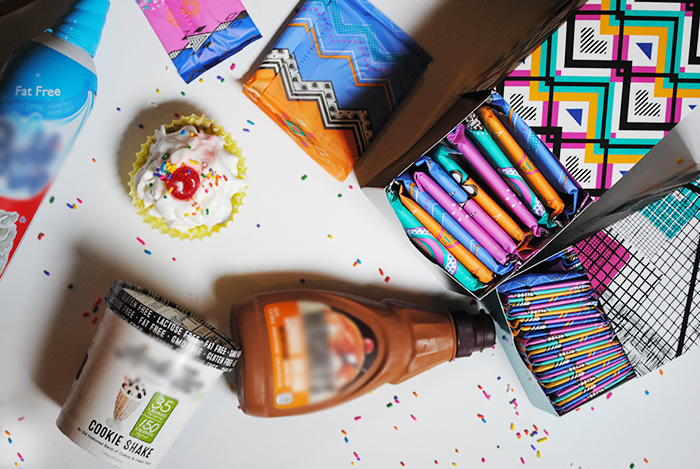 Keep reading to check them out and see how you can earn some awesome rewards for buying Kotex® products! Drink tons of water! I know you're craving caffeine, but it can actually make your cramps worse. Water will not only keep you hydrated, but it will ease those soul-crushing cramps. Apple and cinnamon infused water is great for boosting energy and fills you up so you don't eat as much junk. If you're up to it, exercise. If you've ever seen one of my favorite movies, then you'll remember these words: "Exercise gives you endorphins. Endorphins make you happy." (Props to whoever can finish that line!). No matter how bad you're feeling, a little workout can definitely ease your mood. You'll also sweat away that bloated feeling! Stay away from salt. You're already bloated and salt will keep you that way. Instead of devouring handfuls of chips or popcorn, indulge in something healthier like nuts or fruit. Get plenty of sleep. This is a big one for night owls like me. You're body is going through a lot this time of the month so get tons of rest whenever you can. Don't deprive yourself of your favorites! I know I just told you to stay away from salty snacks and coffee, but this time of the month can be hard and being comfortable and happy should be what matters most to you. One of my favorite snacks is a miniature ice cream sundae. 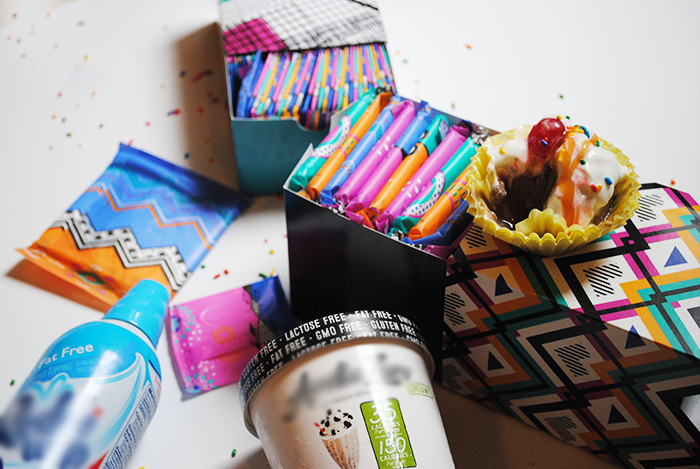 I grab my favorite low-cal ice cream, fat-free whipped cream, and all of my other favorite fixings and throw them in a cupcake liner for easy clean-up! I love to curl up in my bed or on the couch with a good book. One of my favorite places to find a good book and stock up on ingredients is my local Walmart. 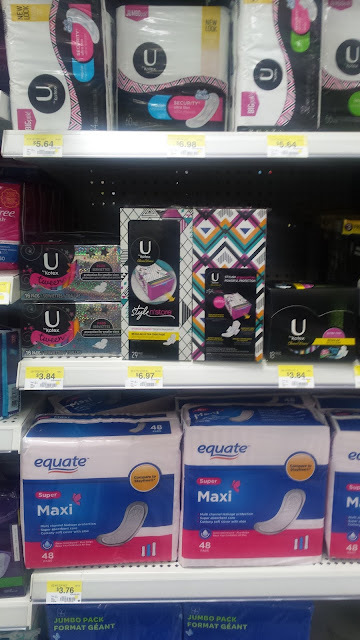 They also carry U by Kotex® Cleanwear® Ultra Thin Pads and U by Kotex® Barely There® Liners in new Style 'N Store packs. 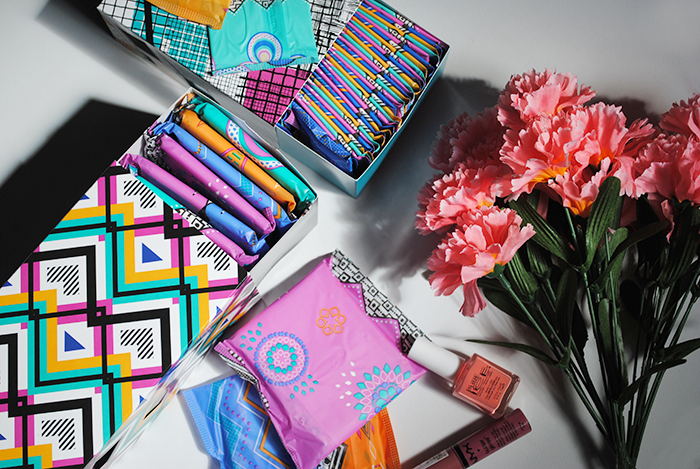 These new packs have 4 runway-inspired designs and a drawer for easy storage. I love these because my apartment bathroom has no storage and these add a fun pop of color to the room. 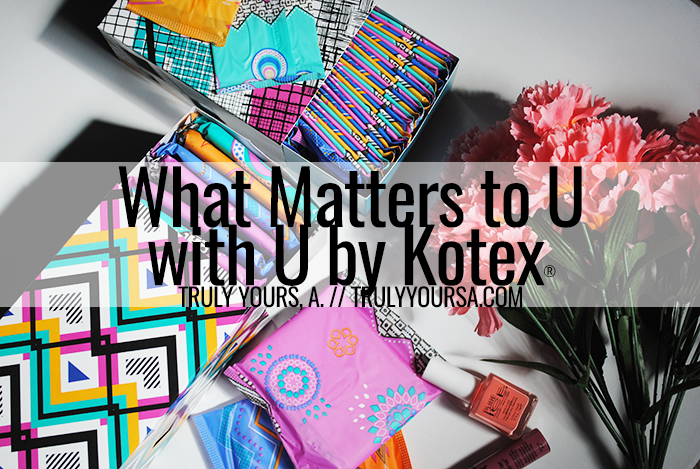 Get up to $25 in rewards just for you by purchasing U by Kotex® at Walmart! 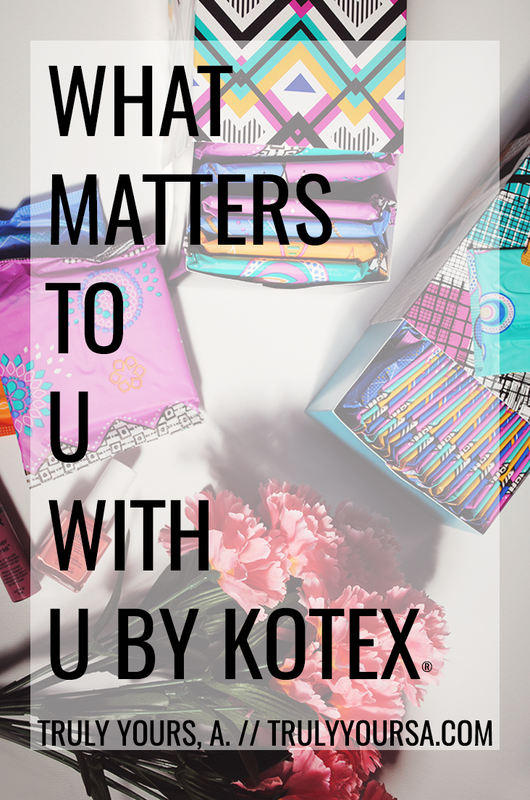 Purchase two U by Kotex® products from Walmart between now and September 30th, 2016, take a picture of your receipt, text UbyKotex to 811811, upload a photo of your receipt and then visit the U by Kotex® site to register your and receive customized reward. What matters most to you when you’re on your period? Let me know in the comments below or connect with me on Instagram or Twitter with the hashtag #WhatMatterstoU! Thanks for reading!